First things first – you’ll need a quality portable projector, like this one. The P300 Pico mini projector is great for at home and traveling. It fits nicely inside a purse or laptop case. The set-up is very easy, especially with the USB Plug ‘n Play instant set up. We chose to connect the projector to our DVD player using an HDMI cable, but you can connect it to your laptop or phone as well. If you’re hosting an outdoor movie screening, you’ll want to make sure everyone can hear the movie. This Ion Tailgater worked perfectly for our outdoor movie night. It’s a #1 best-seller on Amazon and offers an amazing 50-hour rechargeable battery life, bluetooth connectivity, and even includes a microphone. We give it 2 thumbs up. The projector has a really clear picture, so you can use it for all sorts of areas like the garage door, side of your home, or even a DIY white blanket screen that you can find on Pinterest. Another option is purchasing an outdoor movie screen, like these here. Don’t forget connectivity, like an iPhone adapter or HDMI cables. Okay let’s check off the tech stuff and move onto more outdoor movie night must-haves! 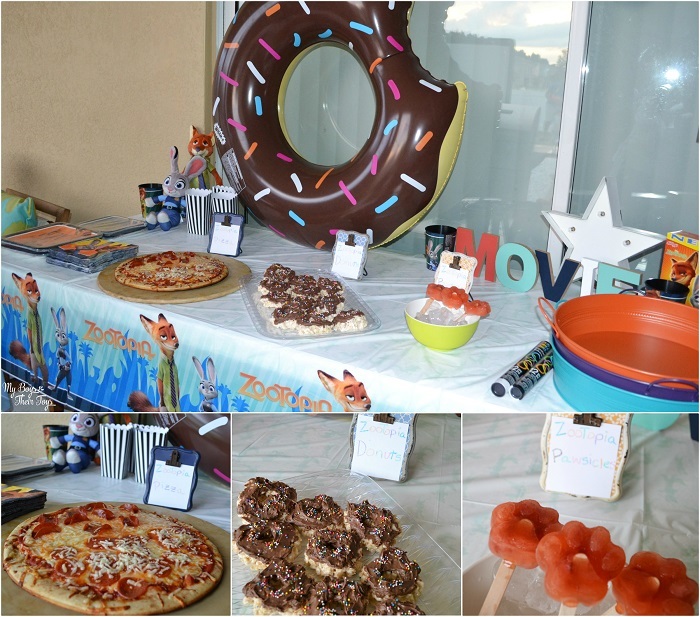 You can’t host a movie party without food, right?! I found ZooTopia inspired Pawsicles on Disney Family and thought I’d create something similar. Here’s what you’ll need to make pawsicles. Preheat oven to 350 and prepare a parchment lined sheet pan. 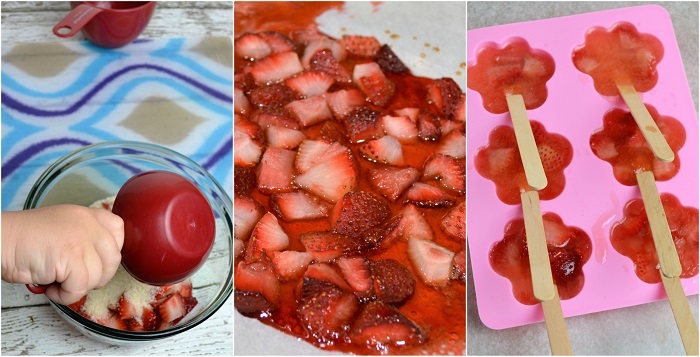 Combine strawberries, 1/4 cup of sugar, and vanilla in a small bowl and mix. Place ingredients onto sheet pan and place in oven. Roast for 20-25 minutes. Heat cherry juice and 1/4 cup of sugar on stove top on medium-low heat. Stir until sugar is dissolved, then pour into a medium bowl to cool. Once fruit in oven has roasted, place into bowl with cherry juice. Place bowl in refrigerator to cool. Pour juice into molds and place in freezer for 30 minutes. 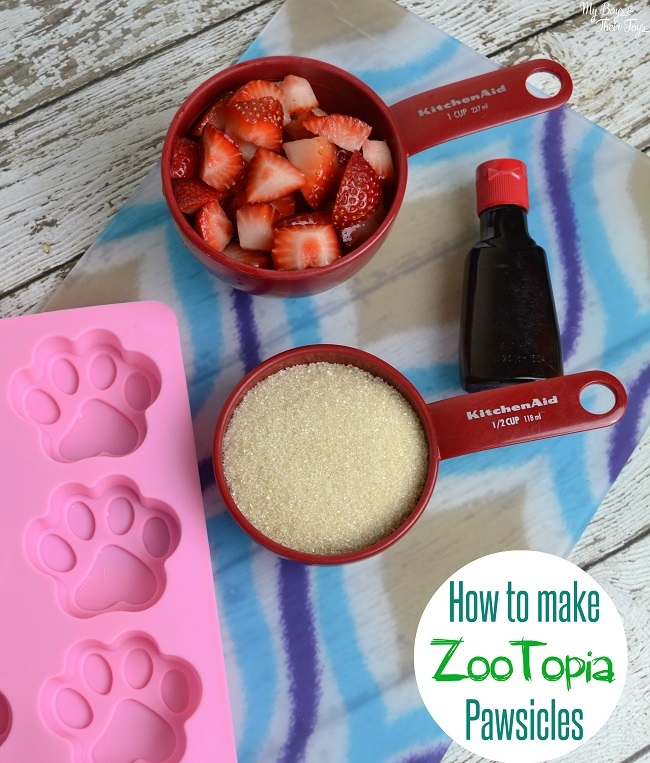 Remove from freezer and place popsicle sticks at the bottom of each paw print mold. Let freeze for 3-4 more hours and serve. 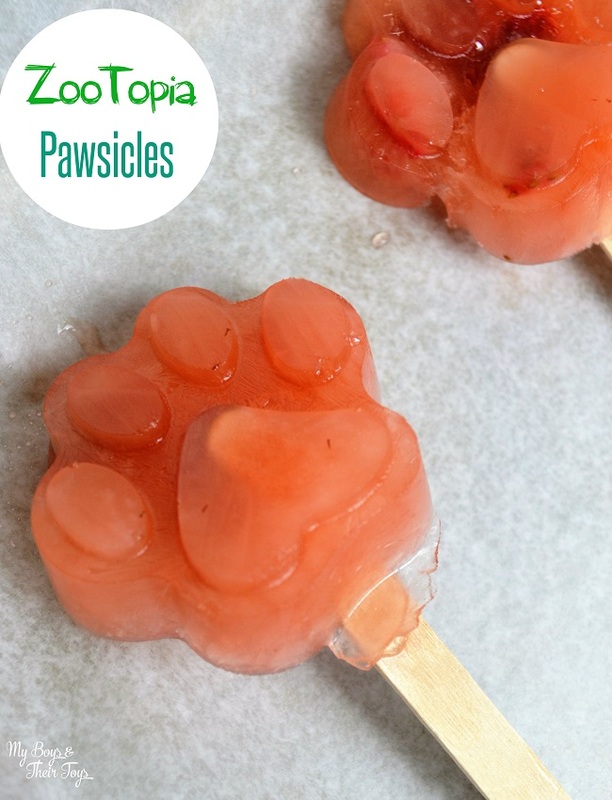 The pawsicles turned out so adorable and were a favorite amongst the adults and kids. They taste SO good! Mix in bag of mini marshmallows, and continuously stir until completely melted. Remove from heat and add 4 1/2 cups of Rice Krispies cereal. Mix until well coated. Begin by buttering hands well to keep the treats from sticking to you. Then, using a scoop of krispies treats, form them into balls. 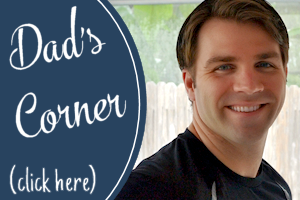 Place on a parchment lined cookie sheet (or cutting board) and push a hole through the center. 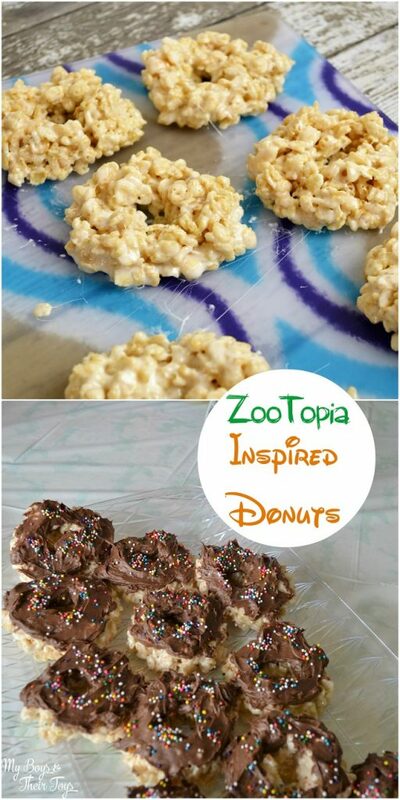 Form the krispies treat into a donut shape. This batch should make approximately 12 donut rice krispies. Place them into the refrigerator until ready to decorate. Then coat each donut with chocolate frosting and add sprinkles. 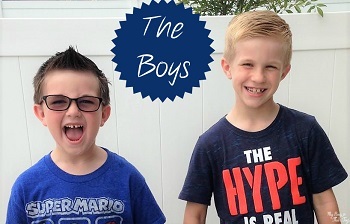 The boys had such a fun time helping with this messy food project. We ended up making 2 batches for our party! Every movie night needs popcorn, so don’t forget these fun black and white striped popcorn boxes. Onto the decor! Load up on ZooTopia plates, napkins, and cups. You can find them pretty much anywhere right now. Here’s a ZooTopia party supply pack I found on amazon.com. I found all of the other supplies at Michael’s Crafts Store including mini frames for food place cards, the giant inflatable donut, movie letters and marquee star, kids glow bracelets and colorful round serving trays and buckets. Once the guests arrived, it was time to party! Like I mentioned above, the pawsicles were a huge hit. 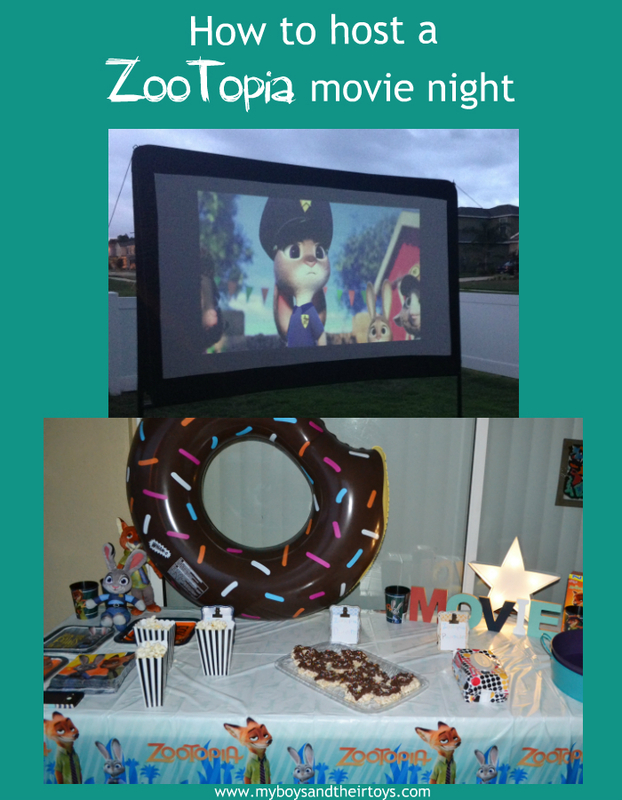 I highly recommend making these for your ZooTopia party. 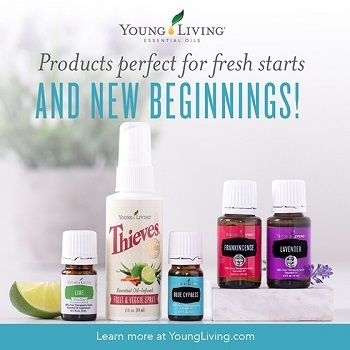 Plus, they’re perfect for beating the summer heat! 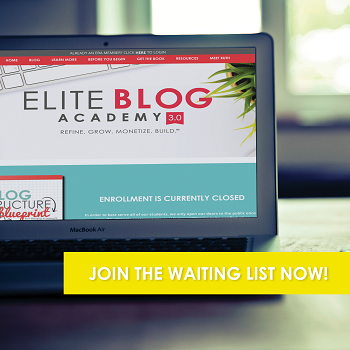 Grab foldable chairs, lawn furniture and blankets for your guests to relax and enjoy the movie. 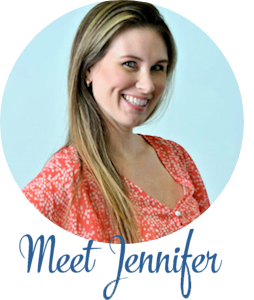 Tip: I highly recommend a bug zapper or citronella product that will keep the mosquitos away. Bug spray alone will not keep them away from your guests and tasty treats. The modern mammal metropolis of Zootopia is a city like no other. Comprised of habitat neighborhoods like ritzy Sahara Square and frigid Tundratown, it’s a melting pot where animals from every environment live together—a place where no matter what you are, from the biggest elephant to the smallest shrew, you can be anything. But when rookie Officer Judy Hopps arrives, she discovers that being the first bunny on a police force of big, tough animals isn’t so easy. Determined to prove herself, she jumps at the opportunity to crack a case, even if it means partnering with a fast-talking, scam-artist fox, Nick Wilde, to solve the mystery. Shakira voices a gazelle and performs a song for the film as well. Pick up your copy of ZOOTOPIA today! What kind of outdoor movie party will you be hosting this year? Wish I could have been there! Soon much fun ! 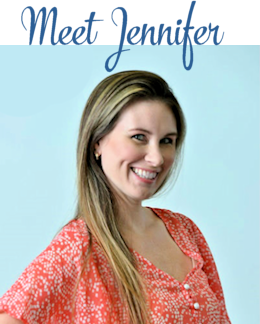 Yes, we wished you lived closer too! We had a blast. So cute and creative! Loved it! Everything looks perfect! Just wish we could’ve been there! This looks like a fun movie for animal lovers. Love the treats! So creative and fun! 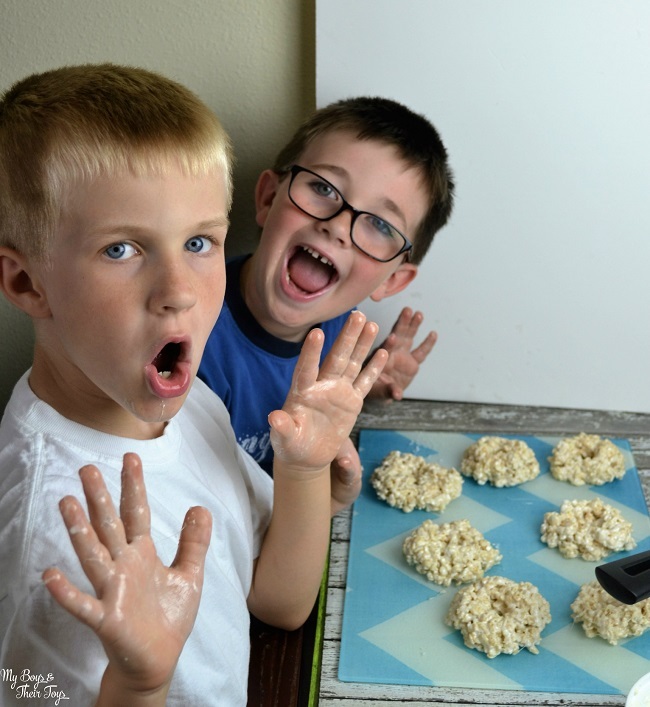 I like all of your snacks and what a fun way to get the kids together with family and friends to have a viewing party! What cute treats and great family time spent together! 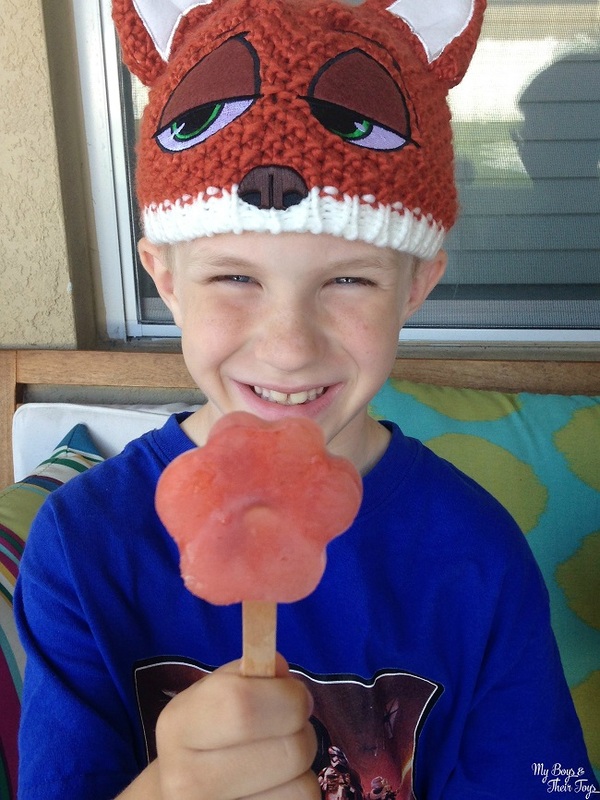 My grandsons would love to eat one of those pawsicles! This party looks like it was a blast!! The food and decorations are all so awesome. You are the best Mom!! This looks like so much fun! Reminds me of times when I was a kid having great times outside. We just didn’t have the movies. I need to get that silicone paw tray! Very cool party! Great party ideas! My fave is the pawsicles, too cute! These recipes are so cute! My cousins would love these! So cute. I really enjoy themed movie nights with my kids and their friends. When the weather gets warmer I am going to try this one. 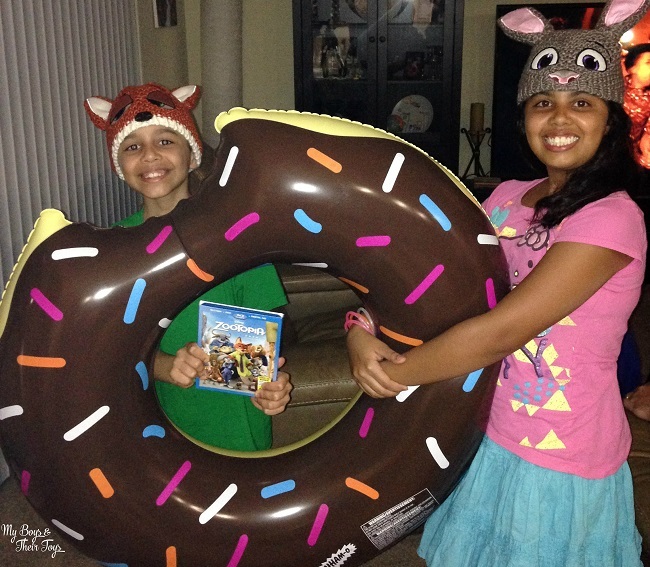 That doughnut hole inflatable is awesome! Popsicle are perfect in the summer, plus no mess in the house.